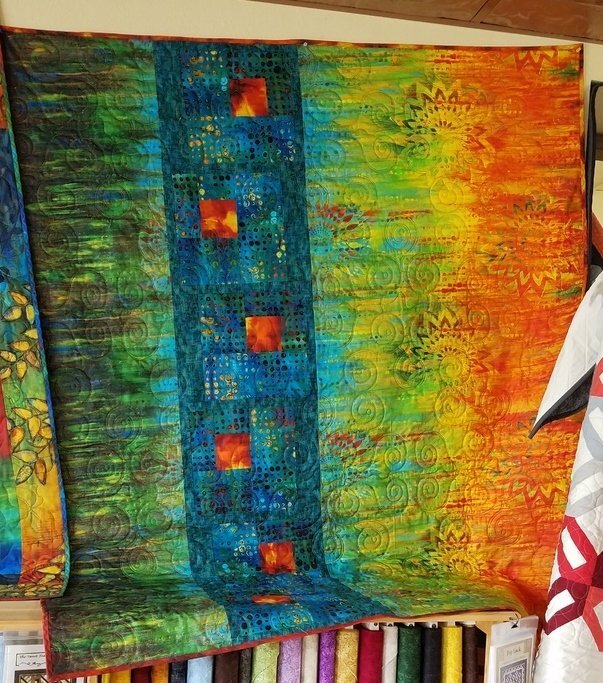 The Sundance pattern byVilla Rosa Designs along with the Garden Bright fabric line by Sue Penn Designs for Free Spirit are used to make this beautiful quilt top. Pattern, fabric to create the quilt top and binding are included. Finished size is 54" x 69".